Makes One 9-inch Nonstick Round Cake Pan. Basque cake is the most famous dessert served in this region near Spain. 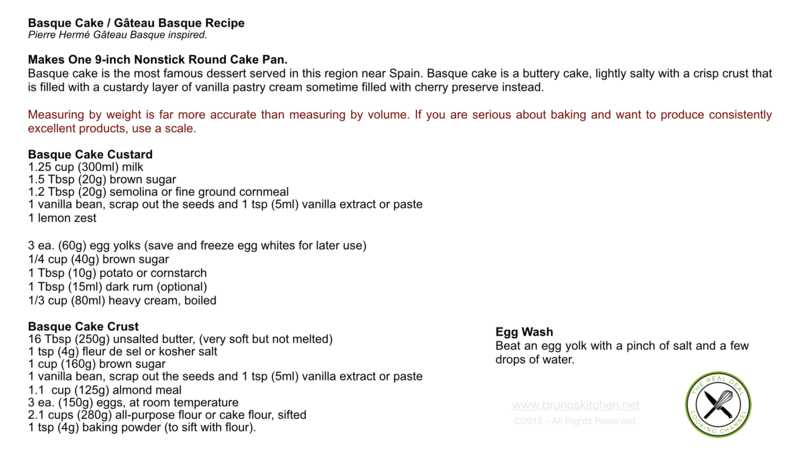 Basque cake is a buttery cake, lightly salty with a crisp crust that is filled with a custardy layer of vanilla pastry cream sometime filled with cherry preserve instead. 1 tsp (4g) baking powder (to sift with flour). In a medium bowl, whisk together egg yolks, vanilla, 1/4 cup (40g) brown sugar and cornstarch. Meanwhile in a small saucepan, combine milk, sugar, lemon zest and semolina. Cook over medium heat until mixture comes to a simmer. Whisking constantly, slowly pour the hot-milk mixture into the egg-yolk mixture until it has been incorporated. Pour mixture back into saucepan, and cook over medium-high heat, whisking constantly, until it thickens, and boil for a minute. Turn off the heat and whisk in the hot heavy cream and add the dark rum. Transfer the pastry cream into a baking tray lined with plastic wrap and cover the top with additional plastic wrap to prevent a skin from forming. Let cool to room temperature before using. You may need to beat the custard before pipping it. In a stand mixer fitted with the paddle attachement, cream the softened butter with the brown sugar, salt, vanilla and almond meal on high speed until fluffy in texture, about 3 minutes then add the eggs. A standard step with the creaming method of cake preparation is to add the eggs one at a time and fully incorporate before adding the next egg. Scrap down the sides of the bowl and add the sifted flour with baking powder and blend until evenly combined on low speed. Grease cake pan generously with softened butter or cooking spray and place a disc of parchment paper on the bottom and grease it again. Using a pastry piping bag (or a ziplock bag with the corner snipped off) pipe 1/2 inch-thick (1.25cm) disc of batter at the bottom of your cake pan. Then, pipe a ring of batter on top of that layer, along the inside perimeter of the pan. This will hold the pastry cream. Pipe pastry cream into the space you’ve created. Pipe another disk of batter on top the whole thing, sealing the pastry cream into the cake. Cover the top of the cake with plastic wrap and smooth out the surface with your hand. Refrigerate until firm. Brush cake twice with egg wash and lightly score the top of the cake in a diamond pattern with a fork. 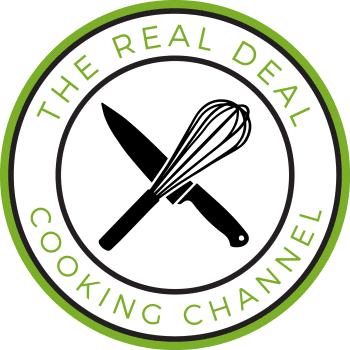 Set the oven rack adjusted to the middle position and bake in a preheated 350ºF (180ºC) oven for 45 / 50 minutes. Remove the cake from the oven and let cool 20 minutes before unmolding. Transfer the basque cake to a cooling rack and let cool completely. Serve at room temperature or just warm. Can be kept refrigerated up to 4 days.